Besides Tweedsmuir Park, one of the largest Provincial Parks in BC, there was a need to develop other parks and protected areas in the Chilctin to protect the natural fuana in the area. An example of this was in the creation of the Itcha Ilgatchuz range to protect the only caribou herds in British Columbia that are still growing, the rare flora of the Homathko River - Tatlayoko Protected Area, and tiny Entiako, brought back into reserve to protect a caribou herd. In the late 1980's the alpine country behind Charlotte Lake was threatened with devastation from clear cutting by a local loggi ng corporation. In the 1990's, many resort and lodge owners, outfitters, guides and naturalists that operate out of this area, felt it so unique that they fought hard to preserve it. They hammered out an agreement with the logging interests to set aside an area that would be c alled the Charlotte Alplands. While that agreement has been lasting thus far, it is only tenuously abided by and is actually under threat again in 2018 by a native logging company. The Charlotte Alplands is not a park but an area set aside without roads, for backcountry recreation. 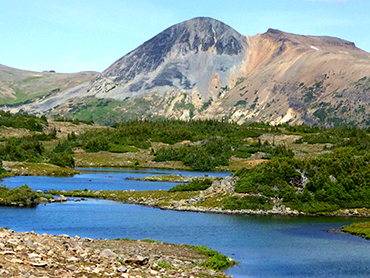 The area lays claim to having the largest concentration of alpine lakes in British Columbia of which many are just loaded with Kokanee and wild Rainbow Trout but are under no pressure from humans. In July, hillside after hillside is layered in alpine flowers in every color of the rainbow, many of them rare, and many not found to this extent anywhere else in the world. 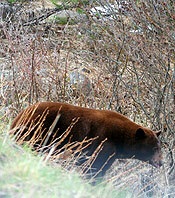 This area is rich in wildlife with few humans to bother them, making for incredible photo opportunities. 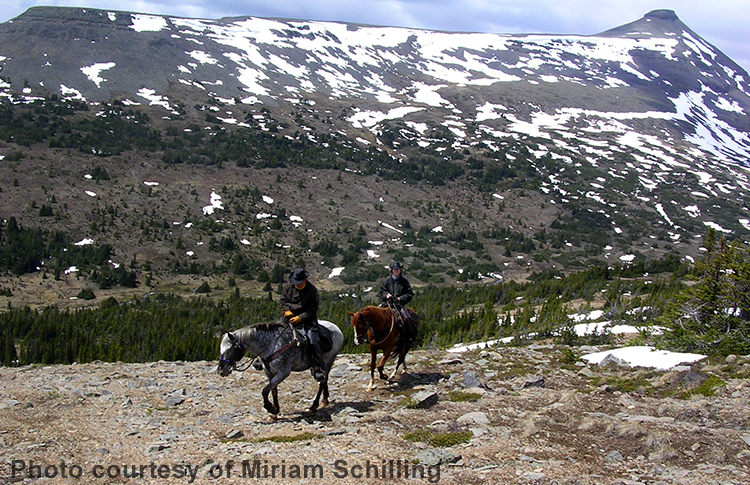 If you would like to fly in, hike in, or take part in a horseback adventure into the Charlotte Alplands, there are operators in the area that can provide that vacation for you. The area lays claim to having the largest concentration of alpine lakes in British Columbia and they're loaded with fish! when boundaries were revised in 1956. 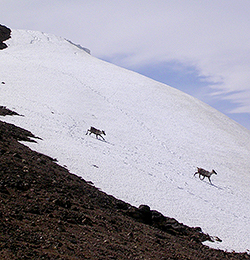 Embattled resource users managed to keep logging out until 1999 and 2000 when 120,000 hectares were set aside as protected land for the Tweedsmuir Entiako caribou herd. 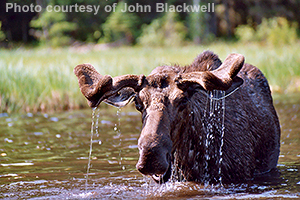 The wild, harsh landscape that comprises this wilderness park is home to grizzly and black bear,moose, caribou, wolves, coyote, fox and fur bearing animals. 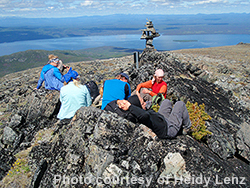 The dry inhospitable growing conditions support several rare plants and lichens that the caribou feed on. Floatplanes can access many of the lakes in the Park's interior for a top flight fishing experience and extraordinary wildlife photography. According to the Ministry of Environment, this area is the only protected area in BC that includes the transition from the wet, mild coastal climate, right to the high, dry and very harsh climate by comparison, of the Chilcotin Plateau. 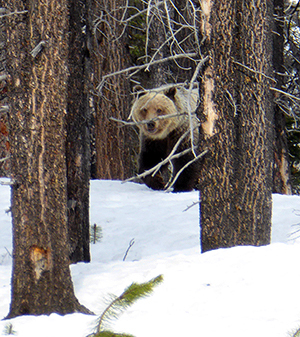 This transition corridor provides perfect conditions invaluable to the grizzly bears as they make their way from the Coast, through the mountains, to the Chilcotin. The stunning 14 mile long Tatlayoko Lake, colored aquamarine by surrounding glaciers and peaks, is within the boundaries of the protected area but is also popular for fishing and wind surfing. This park was established in the 1995 to protect the most significantly healthy caribou herd in BC, the only herd that is not declining in numbers to date as it has a high calf recruitment rate. It is nearly 112,000 hectares, or nearly 280,000 acres of roadless park made up primarily of isolated shield volcanoes that support a wide variety of plants, some rare and a nu mber of large animals besides caribou such as moose, grizzly and black bear, as well as quite a few wolf packs. The Blackwater Trail, made famous by Rich Hobson's trilogy about he and Pan Phillip's settlement of the area, runs between the Itcha and Ilgachuz Mountain Ranges. It was used to move cattle and supplies between Anahim Lake and the 'Home Ranch'. 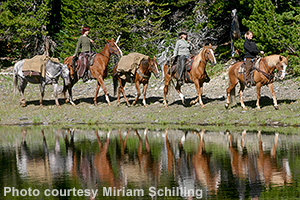 Several historical outfitters still operate in the two mountain ranges today and would be happy to book you for a pack trip, horseback trail ride, or horse assisted hike into the alpine. This park is at the confluence of the Chilcotin and and Fraser Rivers and comprises rolling grasslands, spectacular cliffs and hoodoos, and deeply eroded gullies. 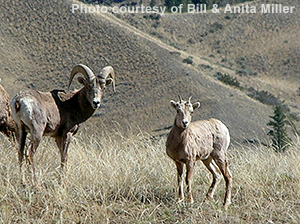 It was designated a park in 1995 to protect an internationally significant herd of California bighorn sheep. In the past, young members of this healthy herd were caught and transplanted to some areas in the United States to help rebuild their herds of sheep. It's unknown if this practice is still ongoing. This land's importance cannot be underestimated for its support of now rare natural grasslands, lichens and other flora, so camping is not permitted in the park. You can follow public trails but you are asked to not leave the trails or trample on the delicate lichen crust which can take years to recover from the damage of being driven or walked on. There were other parks in the Chilcotin, however, on June 26, 2014, the Supreme Court of Canada (SCC) granted the Tsilhqot’in Nation a declaration of aboriginal title. Aboriginal title includes the right to exclusive use and occupation of the land, as well as the ability to determine the uses to which the land will be put. Access to most non-native interests has been cut off so if you wish to access any of those parks or regions that come under aboriginal title, you will need to contact the band responsible for that area.